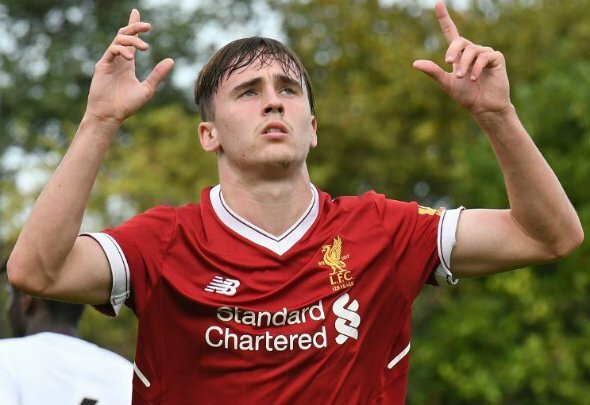 Liverpool academy star Liam Millar has secured a loan move to Scottish Premiership title challengers Kilmarnock. As reported on the club’s official website, the prolific young forward has penned a fresh long-term deal with the Reds before joining Killie on a temporary contract until the end of the season. The Canada international, who is still just 19 years old, was the academy’s top scorer last season with 19 in all competitions, and has continued to score on a regular basis this term. Millar is getting to the point in his development where he is simply too good for age-group football now, with the need for first-team football becoming apparent. The fact that a team like Kilmarnock, who are joint-second in the Premiership title race, wanted to sign the Canadian goal machine shows just how highly-rated he is. And Millar himself could not really have done much better in terms of his first loan exit, with many young players heading out to League One or League Two first time out. Playing in the Scottish top-flight will be such valuable experience for Millar, especially considering the position that Kilmarnock are currently in. Even if the 19-year-old does not go on to play that much in the coming months, he will still grow as a player in making such a leap and his age, and Liverpool will welcome him back further along in his development.